Accidents, natural disasters and random or targeted attacks can cripple human infrastructure. Our transportation networks, supply chains and communication networks are increasing in size and becoming more complex as our populations grow. How do we protect those networks from becoming vulnerable and failing? Social insects may provide some inspiration. have overlapping generations, with young and old individuals living together. Each individual within a nest behaves a bit like a neuron in a brain. They interact and react to the behaviour of the closest neighbours living within the nest. 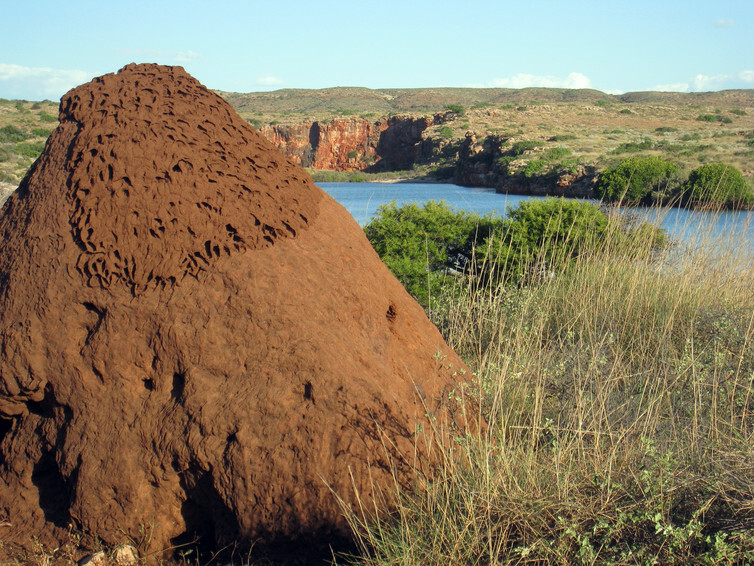 This social behaviour can lead to impressive feats, such as termites building large mounds or ants working together to form bridges or rafts. It also provides the nest with a certain amount of resilience when faced with disruptions. By working together, a small failure can be fixed before it becomes a large failure. This is called collective behaviour. It is seen across many species, including insects, fish, birds and humans. We can already draw parallels between human and social insect societies. But the continued study of collective behaviour has implications in maths, physics and robotics. It could help us design better, more resilient infrastructure. Two factors that lead to social insect resilience are decentralised control, and redundancy and job-switching behaviour. In insect societies, there is no leader and no blueprint. This decentralised control means every individual is essentially replaceable, allowing colonies to be resistant to the loss of individuals. Also, damage to the system – the colony – can be dealt with as it happens, without the need for time-consuming communications with managers. Human systems are becoming more and more decentralised, often through reliance on the internet, yet even our internet services are becoming more centralised. Think about the streamlined nature of Google. It provides not only a search engine, but an email service, a calendar and Google documents – among other services. It is much easier and more convenient to manage our online lives through a single centralised service. However, if an aspect of Google gets corrupted through an online attack, the cascading failures through the system could cripple access to many of those services. Despite the phrase as “busy as a bee”, many social insect colonies actually maintain a large number of seemingly “lazy” individuals that don’t work. These individuals, known as redundant individuals or inactive workers, act as a safety net that allows a nest to respond rapidly to a disruption – such as a loss of workers, or a predator attack. Insects are also able to switch jobs in response to a disruption. Within a nest, individuals may have jobs they specialise in. This allows greater efficiency within the nest. But during a disruption, individuals are able to switch jobs to fill the gap. This is similar to our volunteer emergency services, like the State Emergency Service (SES). People who volunteer with the SES usually work in other areas. But, when an emergency strikes, they are able to respond and help fix the problem. Perhaps more broad skills training would allow people to assist during some disturbances to our infrastructure. How could this hold lessons for humans? By studying the collective behaviour of social insects, and the ways in which they are able to remain resilient in the face of disturbances, we can build upon these lessons to inspire the development of our infrastructure and protect it from large-scale failures. Social insects have evolved a variety of solutions to different disruptions over millennia. Trying to experiment on human networks is often impossible and unethical, yet we can directly experiment on social insects. This isn’t to say that social insect systems are proxies for human systems, but by comparing numerous social insect systems, by studying human case studies (usually from the results found after a natural disaster) and developing simulations, we can begin to understand the general features that contribute to resilience across different scales and types of disturbance. This also goes both ways. By borrowing ideas, tools and concepts from resilience work in other disciplines, such as physics, economics and engineering, we can get a greater understanding of the mechanics behind social insect resilience. Together, this can lead to a greater understanding of resilience which can be applied to the design of better human infrastructure. This is all really interesting. And I believe businesses and communities should look more to science, and the natural world, for lessons (note – I am sadly not a scientist.) However there is one obvious point which hopefully others are struck by (and this is meant constructively.) 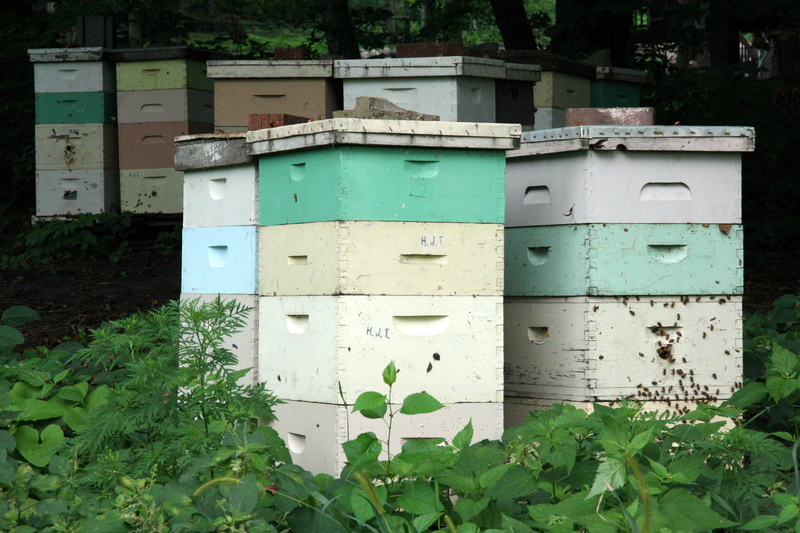 Bees are not people, and people are not bees. So what constitutes a “society” is profoundly different because of the mind. Also hindsight (case studies) needs to be treated with a grain of salt. But this is a promising line of research nonetheless.